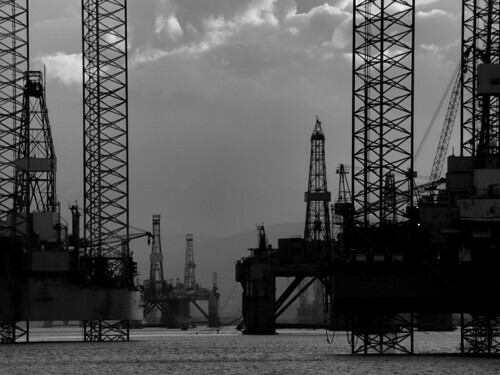 A winter visitor to Cromarty, the 6th Generation drilling rig West Phoenix, currently moored just off the town. I’m told she is the biggest rig – at a gross tonnage of 36,000 – ever to visit the Firth. Take it from me she is enormous, two and half times the size of the Sedco 700 series rigs that usually grace this anchorage. 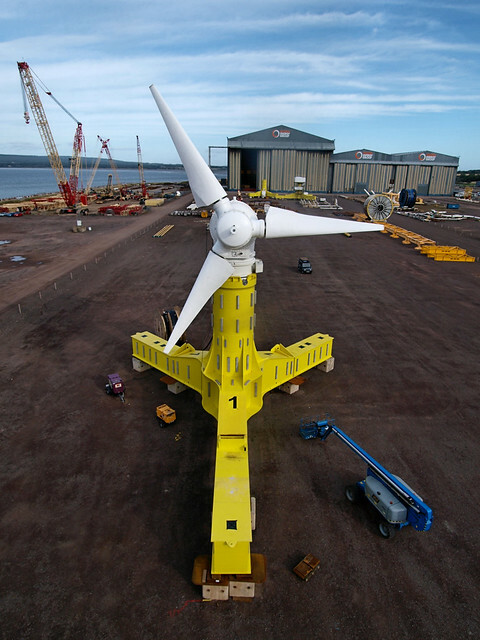 She has been drilling west of Shetland, but is waiting until the spring before moving on to the next task. I have a shed cupboard full of valves. 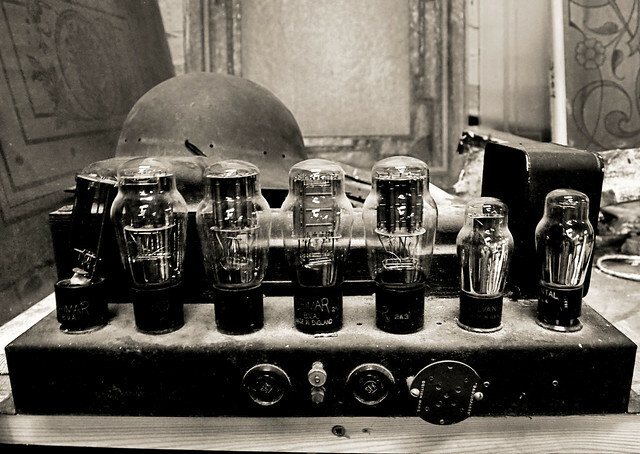 Old ones from the 40’s and 50’s and couple salvaged from 60’s radios before transistors took over the world. As a kid I was into radios in a big way, and used to scribble radio schematics on the spare pages of my school jotters. I even built them at home, with a soldering iron, a “breadboard” and a lots of wires and resistors and capacitors. Some even worked, but the most fun was building a tiny wee transmitting device, that allowed me to jam radio signals on my little transistor radio a few feet away. Mind you I used to live in mortal terror that a man from the GPO would turn up at the house and drag me away for the crime of having an unlicensed radio transmitter. The Post Office had real power in those days you know. 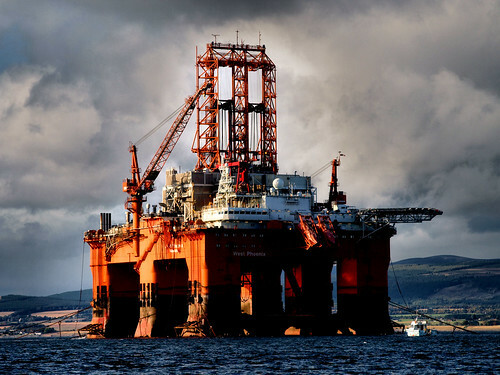 The 30 years I’ve lived in Cromarty, I guess I’ve seen three main “swings” in the oil price, and watched the ebb and flow of rigs filling and emptying the Firth. Somewhere on the hard drive I’ve a series of shots from February in 2003 or 2004, taken from Balbair point with seventeen rigs crammed everywhere and wherever from Evanton all the way past the Sutors. 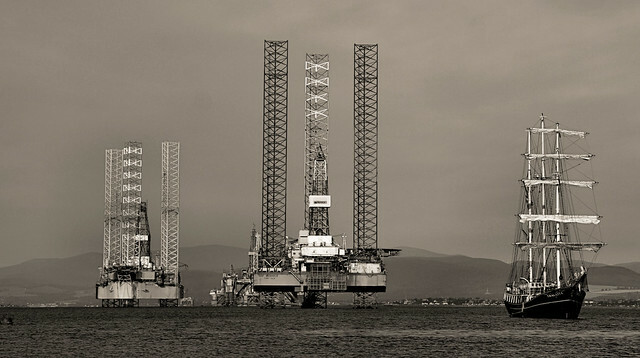 Just a few years later, I have a shot of a single rig sitting outside Invergordon, called somewhat unimaginatively “the very last oil rig”. Strangely enough it’s my best seller online – through Getty Images – but I suspect that its more to do with the image than the subject. But June 2015 sees the Firth with at least half a dozen semi-subs, and three Jack Ups, parked. Some silent, dark and cold stacked, ready for the breakers yard. Others are noisy, bright and ready for the next contract. Together, though with a half decent telephoto lens, they make for a dramatic shot from Cromarty all the way down to the foothills of Ben Wyvis.